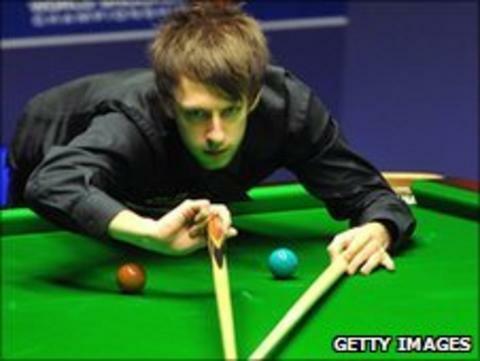 World Championship finalist Judd Trump suffered a shock exit at the hands of world number 19 Mark Davis on day one of the Australian Goldfields Open. Englishman Trump, who and is ranked ninth in the world, lost 5-3 in the last-32 match. Peter Ebdon, the 2002 world champion, also bowed out as he surrendered a 3-0 lead to lose 5-3 against Rory McLeod. Stephen Hendry advanced to the last 16 with a 5-3 win over Martin Gould. After sweeping through the opening two frames, Hendry was briefly pegged back to 2-2. Another upset looked possible as the pair shared the next two, before Hendry compiled a break of 120 to seize the seventh and close out victory in the next. World number 13 Ebdon's capitulation came after he had amassed the first three frames to seemingly take command. But McLeod, 22 ranking places below Ebdon, came roaring back. Elsewhere, world number seven Shaun Murphy claimed a 5-3 win over Andrew Higginson to move into the last 16. Tom Ford beat Jamie Cope by the same score, while David Gilbert beat James Mifsud 5-1.